San Costanzo is the highest hill in the last part of the peninsula Sorrentina. 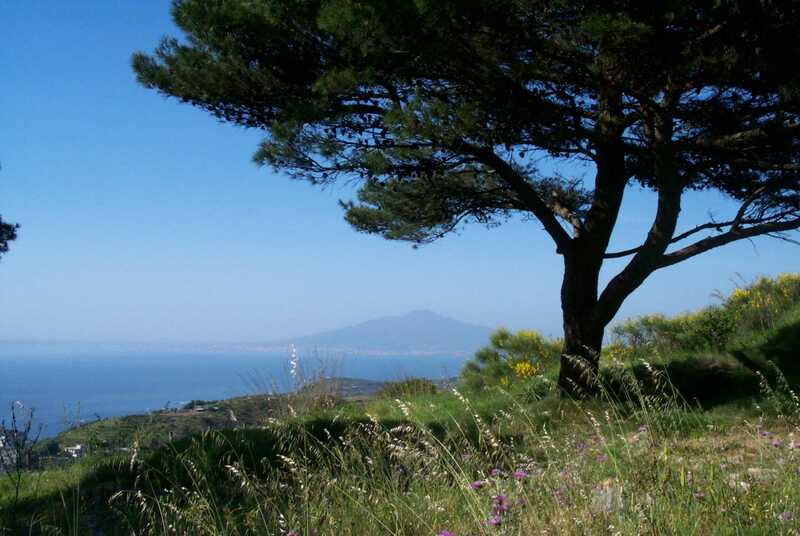 Its position allows the visitor to see a charming breathtaking view, from this point you can see both gulfs that are divided by the peninsula, on the right there is Naples’s gulf and on the left there is Salerno’s gulf. Ischia, Capri and Vivare islands are visible very clearly, furthermore it is possible to see the Vesuvio with below it Naples and all the neighbour city Pozzuoli, Baia, ecc. that form an uninterrupted built-up area, behind the Vesuvio if the air is very clear it’s possible to see the Appennini mountains. The element that dominate the landscape is the island of Capri that is few kilometres far and show all of its fascion.